My last Christmas gift guide this year is full of ideas of gifts for women. One of my favourite things to look for when it comes to women's gifts, is items that force a woman to spend a bit of time doing something she enjoys for herself. I know myself that I tend to think about everyone elses needs before my own and definitely don't look after myself as much as I should. With that in mind here are some nice gift ideas for the women in your life. I hope you find some inspiration right here. 7th Heaven are a company that produce a huge range of beauty masks. They have masks for face, feet and hair to make you feel pampered and cared for on a low budget. I love the hair masks. I am someone who has always dyed their own hair at home and that comes with a price. My hair isn't in the healthiest condition. I have recently stopped bleaching and have gone for a darker colour and have tried a few of the hair masks to try and treat my poor hair and it is feeling much stronger and smoother. I am working my way through the face masks too and I am really enjoying spending a little me time popping on a face mask and watching a film whenever the kids are away. 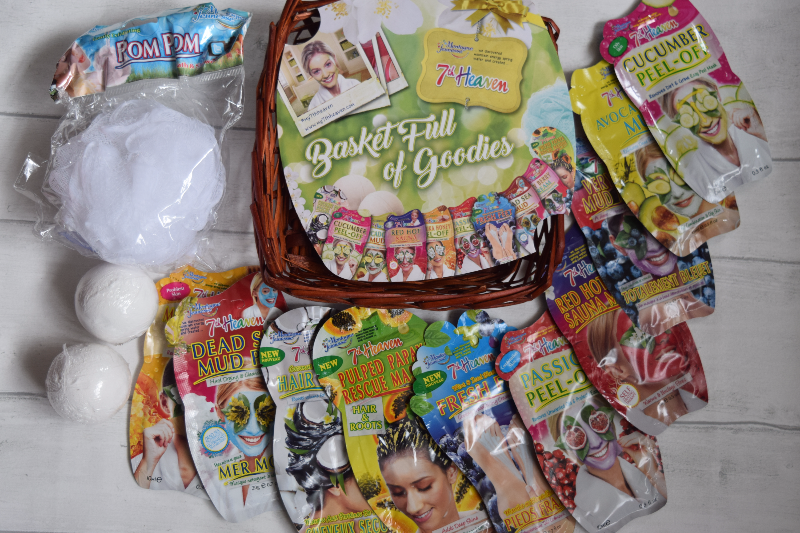 They have put together a lovely hamper of products with 10 different masks, two bath bombs and a sponge in a lovely wicker basket. This is available to buy at Morrison's and Ocado and is under £10. You can also buy the masks separately to create your own personalised hampers for your loved ones. Guylian are one of my all-time favourite chocolate brands. Their chocolates both look and taste delicious and they feel like a luxury when you eat them. If you know a chocolate lover then I would definitely recommend gifting them some of these amazing Belgian Chocolates. Guylian is available to buy at most supermarkets. 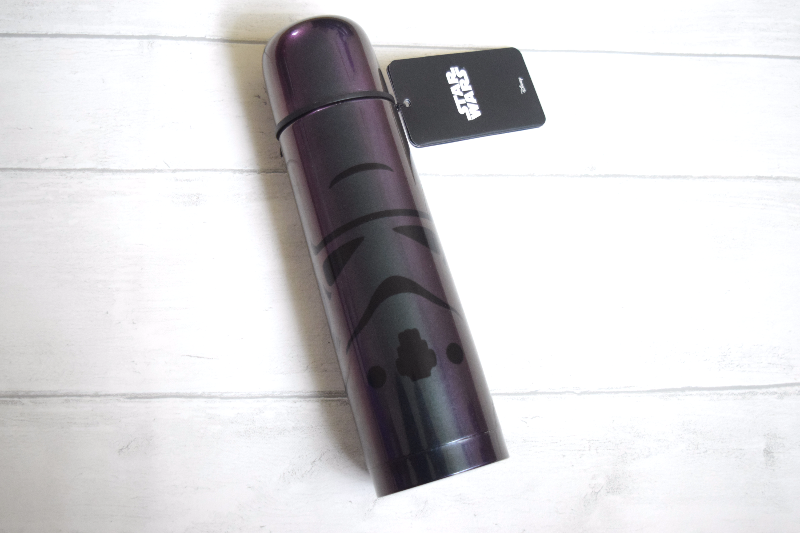 This super cool Star Wars iridescent Stormtrooper Vacuum Flask from Paladone would make a fab gift especially in this horrific cold weather we are having. 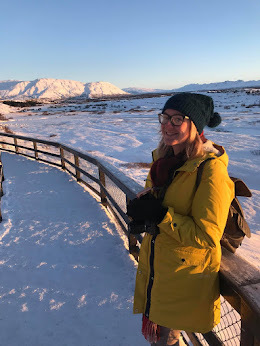 I was so sad mine didn't arrive in time for my trip to Iceland this month as I had visions of myself being very pleased with myself out in the snow on one of our many day trips, whipping out my nice hot flask of tea. I know I will use it a lot this Winter with the kids still wanting to leave the house sometimes. It has a 500ml capacity and a screw on lid. I love it, it is pretty , it is Star Wars and it would make a great gift. I love the look of this game as will every Disney fan. It includes 4 kazoos and a stack of cards containing names of Disney songs. One team member plays a tune using the kazoo, whilst the other team members guess the name of the song. Each card has an 'easy' song and a 'difficult' song. Not only will this be out for us all to play over christmas but I am taking it along on a girly weekend away soon which I think will be hilarious. The game would make a great, fun gift for any Disney fans this Christmas and is available to buy at Paladone. I have done so many cool things this year including attending festivals and gigs, holidays and weekend breaks and who doesn't love to take photos to remember those moments and look back on. Trying to fit a group of people in a selfie however is not an easy task! 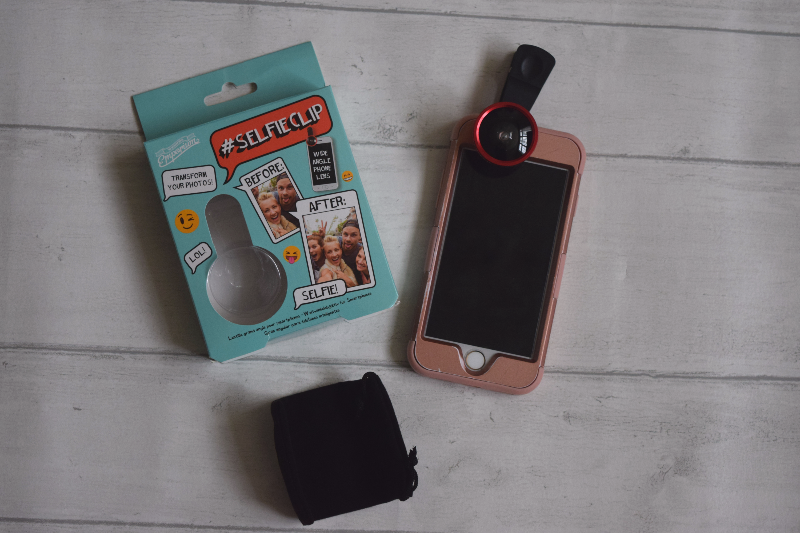 The Selfie Clip is a wide angle phone lens which helps you to fit a larger group of people in a selfie or for panoramic shots so people can see what is going on behind you. The kit contains the selfie clip, lens cap and storage bag so you can safely carry it anywhere. It would make a really cool gift or stocking filler and is available to buy from Paladone. Permanent markers come in handy for so many things like labelling, colouring or crafting. If you are buying a gift for a creative type. 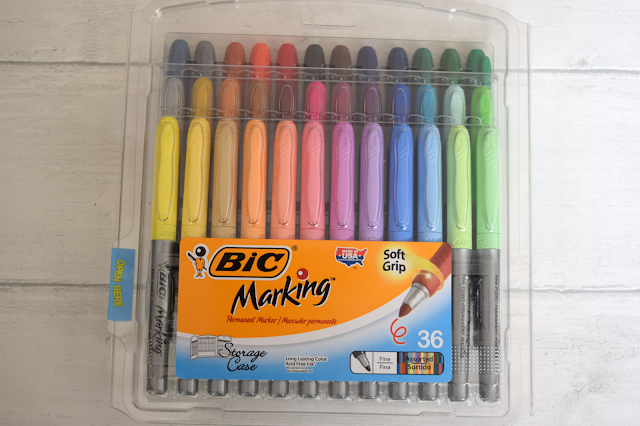 These BIC permanent markers come in a pack of 36 different colours with a storage case to keep them together. Last year we even used markers to make our own Christmas decorations and to decorate parcels etc. There are so many possibilities and BIC are a very good quality brand so you know they are going to last. They are available to buy at most good stationery retailers and over on Amazon. I hope this has helped some of you. Hope you all have a lovely Christmas. Fab gift ideas. 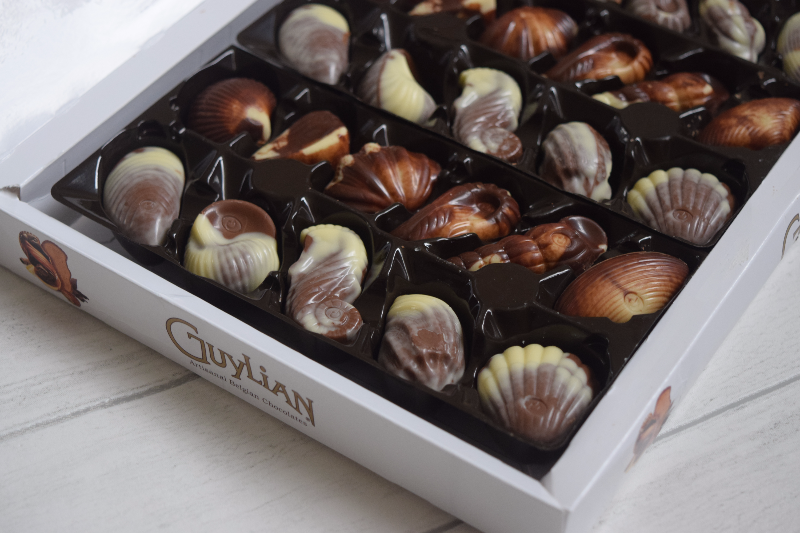 Guylian chocolates are my absolute favourite, I could eat an entire box in one sitting I think! Great gift ideas , I really like the selfie clip and the chocolates too. Seriously - I'd love every single one of these products! What a lovely selection! 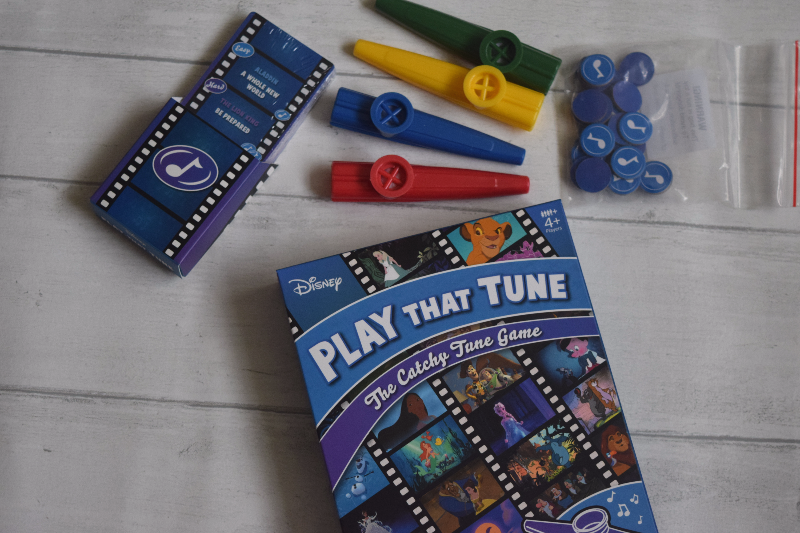 Disney Play That Tune looks fun - as long as you hide the kazoos from the kids afterwards! Great ideas here. I love a good face mask so the first one is perfect for me. Never actually used ant other mask though. These are great gift ideas! My mom would prefer the chocolates. She loves chocolates.